"Before I die beside my mistress, I will bury the Dragonheart stone in the mountain with such protections as I can lend it. Perhaps chance will put it into the possession of one with the heart and desire to release its full power. That person will seize control of the gifts that have been given. That person will once again reign over the guilds. Or destroy them, as they deserve." The covenant that was meant to keep the wizard wars at bay has been stolen, and Trinity must prepare for attack. Everyone is doing their part: Seph is monitoring the Weirwalls, Jack and Ellen are training their ghostly army, even Anaweir Will and Fitch are setting booby traps around the town's perimeter. But to Jason Haley it seems like everyone wants to keep him out of the action. He may not be the most powerful wizard in Trinity, but he's prepared to fight for his friends. Everything changes, though, when Jason finds a powerful talisman - a huge opal called the Dragonheart - buried in a cave. The stone seems to sing to Jason's very soul - showing him that he's meant for moren than anyone's guessed. Moral compasses spin out of control as a final battle storms through what was once a sanctuary for the gifted. With so much to lose, what will the people of Trinity be willing to fight for - and what will they sacrifice? It's everyone for himself in this thrilling conclusion of the Heir trilogy. Although there is a fourth book on its way, this is already a pretty spectacular end of the first three books. The denouement was - for me anyway – unexpected and very clever. The author makes all the storylines merge seamlessly into a magnificent and well thought whole, with a climax that was worked out perfectly and – as is the case in many books - not a total cliche. What I specifically liked most about this book is the fact that the author integrates a legend in her story and eventually let’s it play an important role in the plot. As a huge fan of myths and legends, this is a big plus for me. The fact that voices from the past may have some influence on individuals in the present fascinates me immensely. The blurb (see first paragraph of this review) and the beginning of the book are a bit misleading. It appears that Jason has the ultimate control over the important power of the Dragonheart in this book, but we have to wait until the end of the story for a definitive statement on that stone and about who can use its magic. There are some important hints to the person in question, but as the blurb suggests otherwise you doubt about the outcome until the very end of the book. Very strong piece of deception ;-) But all the more exciting! Ms. Chima made some hard decisions at the end of the book, but although many here complain about it, I see this as yet another sign of the fact that she’s just an extremely good author. Occasionally, the courage to make a hard decision about the characters can contribute a lot to a story and that was definitely the case here. The latest events, where Grace and JR are concerned, were perhaps a bit too fast paced for my taste, but the outcome of that storyline was also different than expected and worked very well. The last section was a real goodbye. All the following events were listed, as one often sees in a movie. One person talks about the events after the climax, how everyone deals with the stuff that happened, what each character does with his life. This gives a sense of completion, which is a pity when it’s such a beautiful book, but wonderful to read. This series should be turned into a movie, for sure, but only by someone who knows how to make fantasy movies correctly and without serious deviations from the books. So that’s a no go for the guy who wrote the script for Eragon! 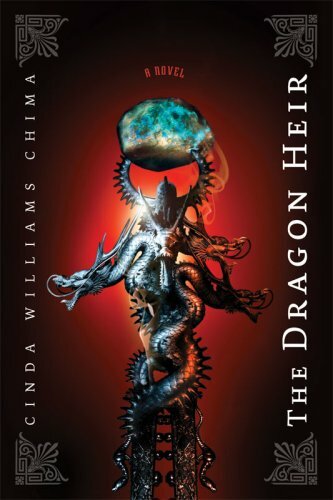 Cinda Williams Chima is currently writing the fourth book in The Heir Chronicles series and also has a deal for a fifth book! 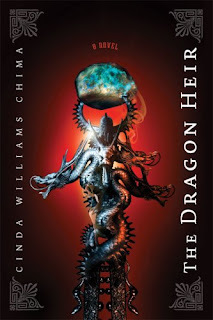 By now, I have read six books by Cinda Williams Chima and I think it's safe to say: I really like her style, her stories, her characters, her books. She's definitly highly ranked on my list of favourite YA fantasy authors. I would even dare to say she's probably on top!